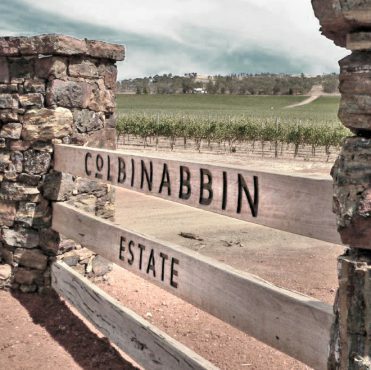 Colbinabbin Estate was planted in 1998 and owns and operates 156 acres of vines in the Heathcote Geographic Indicator. The vineyard is located 25 km north of the Heathcote township on the Eastern side of the Mt Camel range on deep, ancient Cambrian soil. We have a very simple philosophy – “The Best Wines are Born in the Vineyard”. We therefore devote considerable time and effort to ensure that every step in the viticultural process is well planned and executed insisting on delivering quality in all of our activities. This results in consistent high-grade fruit year in and year out. The deep Cambrian soil and our largely organic process enable the vineyard to reflect “place” and the unique characteristics of Heathcote. Our business model is to supply grapes to leading winemakers who are passionate about Heathcote. Varietals available include Shiraz, Cabernet, Durif, Zinfandel, Verdelho, Marsanne and Petit Verdot. We also take great pride in offering wines for sale, however the only method of obtaining these gems is via our mailing list …so sign up or call us! Shiraz, Cabernet, Petit Verdot, Verdelho, Durif – wines of distinction. Only available directly from Colbinabbin Estate. Download an order form or give is a call. We supply 20 different winemakers who consistently win Trophies and Medals at wine shows in Australia and overseas. Our members receive the latest news from the vineyard, notification of new releases and special offers, including invitations to tastings of new releases and back vintages. Download the PDF order form and email it to info@colbinabbinestate.com.au or call John on 0418 172 345.